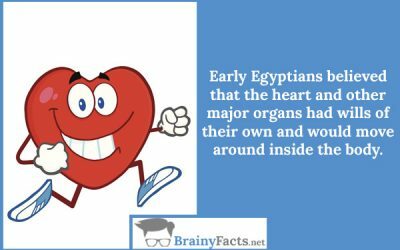 Amazing Facts About Ancient Egypt | Did you know ?! 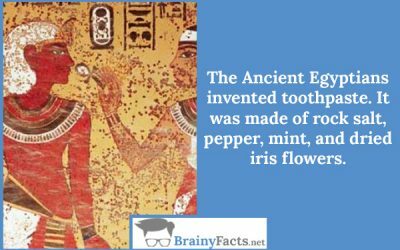 The Ancient Egyptians invented toothpaste. It was made of rock salt, pepper, mint, and dried iris flowers. Ancient South Americans, not Egyptians, invented the mummification process. 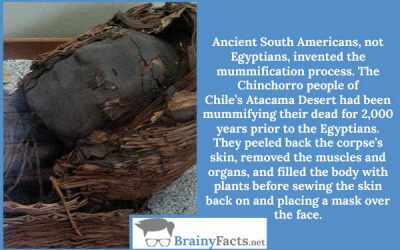 The Chinchorro people of Chile’s Atacama Desert had been mummifying their dead for 2,000 years prior to the Egyptians. They peeled back the corpse’s skin, removed the muscles and organs, and filled the body with plants before sewing the skin back on and placing a mask over the face. There are several instances throughout history where children turned on their mothers. 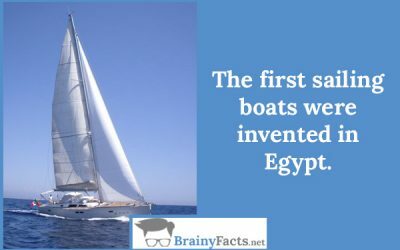 For example, Cleopatra III of Egypt was assassinated by order of her son Ptolemy X. Nero is said to have his mother murdered as well. Many people believe the pyramids were being built by slaves, but that’s is not the case. They were paid laborers, and most of them built with great honor towards the Pharao and those who died were buried in the tombs near the sacred pyramids. 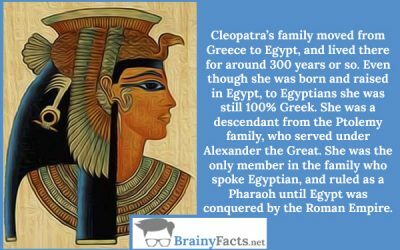 Cleopatra’s family moved from Greece to Egypt and lived there for around 300 years or so. Even though she was born and raised in Egypt, to Egyptians she was still 100% Greek. 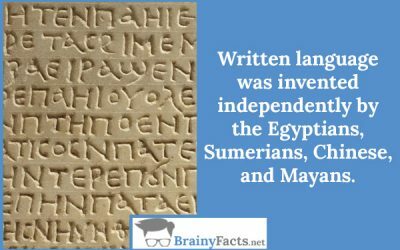 She was a descendant of the Ptolemy family, who served under Alexander the Great. 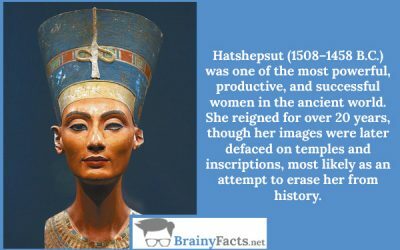 She was the only member of the family who spoke Egyptian and ruled as a Pharaoh until Egypt was conquered by the Roman Empire. 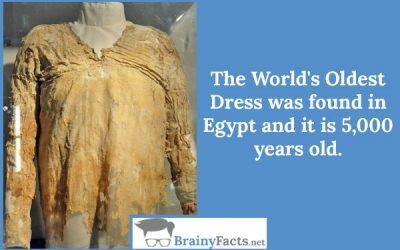 The World’s Oldest Dress was found in Egypt and it is 5,000 years old.